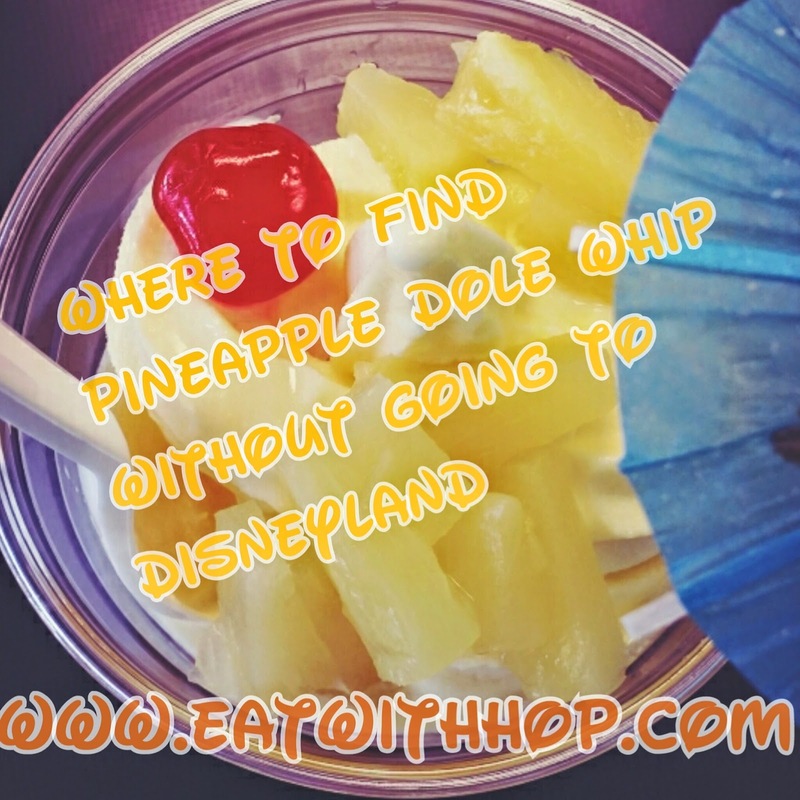 WHERE TO SATISFY YOUR PINEAPPLE DOLE WHIP CRAVINGS WITHOUT GOING TO DISNEYLAND IN ORANGE COUNTY - EAT WITH HOP! So I love love love Pineapple Dole Whip floats from Disneyland. Even though waiting in the long lines for it means that I'd have to sacrifice enjoying a ride or two, the satisfaction that I get from enjoying the creamy soft serve pineapple and sipping the pineapple juice is worth it all. The reason that I would wait in line just for the dole whip is because it's difficult to find elsewhere outside of Disneyland. 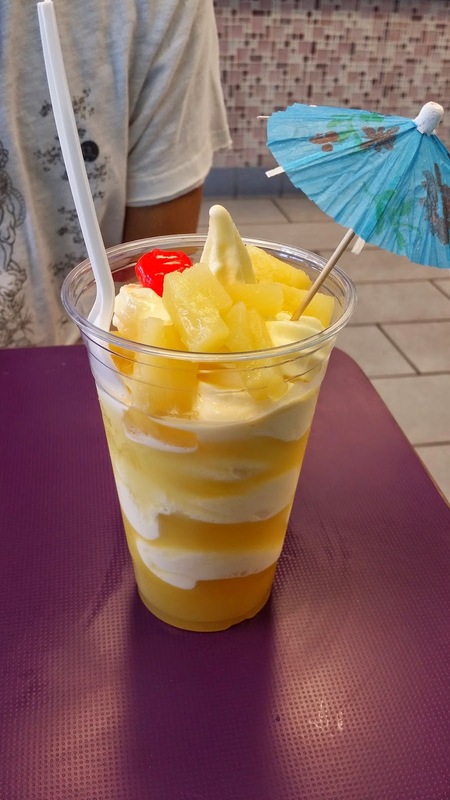 Luckily though, dessert restaurants have caught on to this profitable trend and the popular Pineapple Dole Whip is now sold in many locations in Orange County! This means that I don't need to buy a Disneyland ticket (very pricey!) to satisfy my Pineapple Dole Whip Cravings any longer! Of course, I'd still buy the ticket to enjoy everything else the Happiest Place on Earth has to offer! 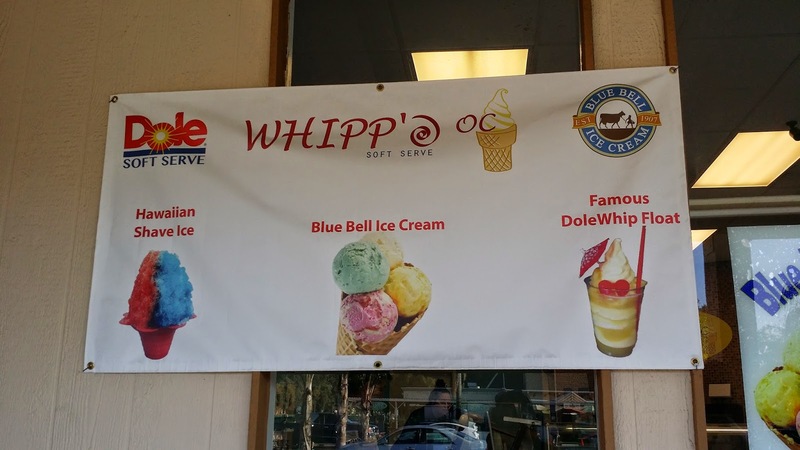 THEY ALSO SERVE BLUEBELL ICE CREAM WHICH IS "THE BEST ICE CREAM IN AMERICA" MADE FROM TEXAS. THIS COMPANY OWNS THEIR OWN COWS AND THEY'RE ALL GRASSFED. THIS IS THE KRAZY KOOKIE DOUGH FLAVOR! If you find this place on yelp.com it will have extremely mixed reviews. I even reviewed it on Yelp myself. You can read it under "Hoppie Nguyen" review. This place serves delicious dessert. They even have 3 flavors of dole whip which are mango, strawberry, and the famous pineapple. 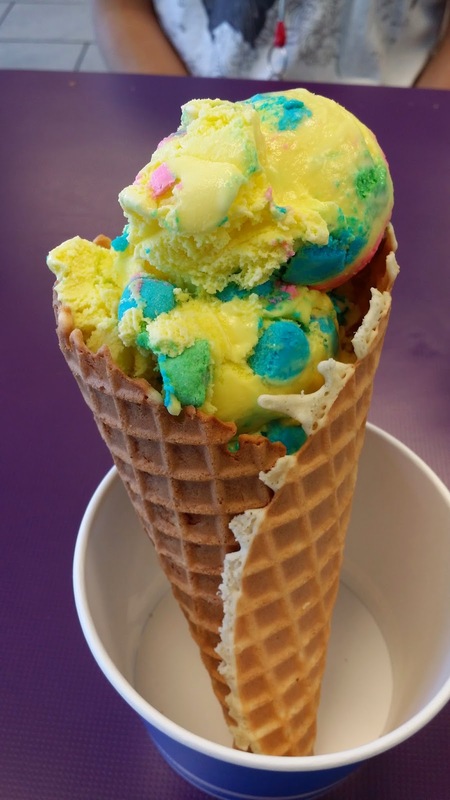 They make their waffle cones in-house and serve the famous Blue Bell ice cream. They even serve hawaiian shaved snow! They also bake their own cookies and serve ice cream cookie sandwiches with them. Even though this place offers pretty much one of the best desserts in existence, I honestly do not recommend this place because they DO NOT have consistent customer service, the availability of the food that they offer IS NOT consistent. When I visited this place, although the ice cream and pineapple dole whip was great, the atmosphere and customer service were disappointing. But if you want that Blue Bell Ice Cream, this place has it. 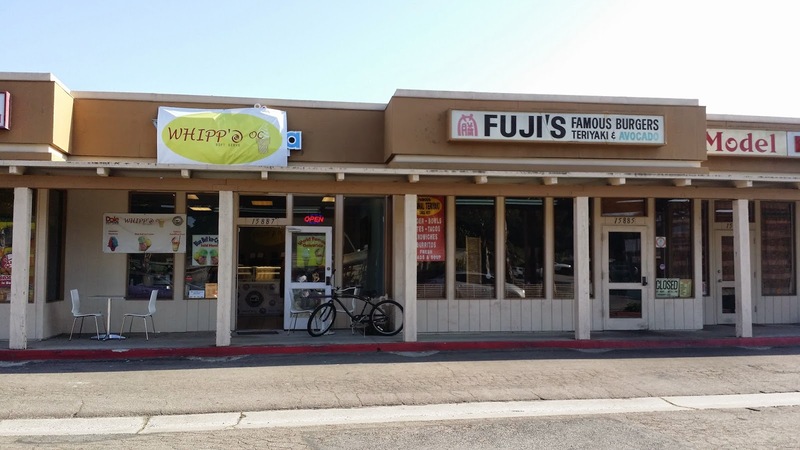 They also have a Los Angeles location called Whipp'd LA. Okay, so I have never been here so I cannot personally advocate whether it is worth going or not based on experience. But just by the looks of what they offer and their photos on Yelp, I definitely think it's worth visiting! I randomly found this place one day when Kev and I were running. I was trying to exercise so we decided to run around his neighborhood. While running down Bolsa Chica St, I saw this huuuuuuuge banner on Edinger/Bolsa Chica that read PINEAPPLE DOLE WHIP. Immediately, after a glance I had to run back to check out that big sign again. MY EYES DID NOT LIE. It said PINEAPPLE DOLE WHIP at Hawaiian Hula Shave Ice. THAT PLAZA WAS UP AHEAD. So so close! I really reaaaaaaaaally wanted to go...but decided not to "ruin" my run by eating dessert. Someday, I will definitely try this place. Maybe when I run around Kev's neighborhood again! Here are some reasons why I wanna try this place! they make their own ice cream! they offer discounts for Disney Passholders! they offer PINEAPPLE DOLE WHIP! I have been wanting to try this place for a long time now but just never got the time and chance. This place also offers Pineapple Dole Whip floats but I believe they are more famous/popular for their unique homemade ice cream. YES. THEY MAKE THEIR OWN ICE CREAM HERE TOO AND EVEN BAKE THEIR OWN COOKIES. WHAT?! They have such interesting flavors "expresso explosion" and "lemon meringue pie" and etc. Because the names sound delicious, I wanna just eat all the words up! This place specialized in Italian Ice! They've got the ice, the custard in various flavors, and (kind of random) desserts such as creme brulee. They have also added iced teas to their menus too! Anyways, I've tried the Pineapple Dole Whip custard and although it is not an official one but rather concocted by the owners, it tastes pretty close to the real thing from Disneyland. I actually liked it and I recommend it! "At Zero Degrees, they get their Dole Whip shipped straight from Hawaii. It's not fake. :)"
I guess it is officially from the brand itself after all! This place specialized in frozen yogurt and is self-serve like Yogurtland! They've got an interesting topping - LEGIT CARAMEL DELIGHTS FROM GIRL SCOUT COOKIES! Anyways, besides that, they've got Pineapple Dole Whip flavored frozen yogurt. They also have waffle cones too that they make in-house which is pretty cool. The last time I went there though, they didn't have the Pineapple Dole Whip flavored yogurt so I'm gonna assume it's not always available. Okay, when I came to this store, I felt like I was in Candyland Heaven! Seriously, this place is a must-visit! It's like an Urban Outfitters x Candy x Ice cream + Yogurt!! I will write a more detailed individual post on this store. They have Pineapple Dole Whip flavored frozen yogurt. Everything is by weight like Yogurtland so you can add whatever ice cream, yogurt, and candy you want and it's only charged by weight. WOWZERS. I wanna go here again! Their ice cream flavors are so unique too like lucky charms! This place is huuuuuuuuuge as well. They even sell clothes and other goodies like books and random knick-knacks. I totally recommend this place! It's a great place to visit if you're bored and just wanna window shop! And if you're looking for dessert this place has got it too! **NOTE: THIS BUSINESS IS CLOSED. I absolutely absolutely loooooove Confetti. I remember it's grand opening days while I was still attending Orange Coast College. Getting Italian Ice with Custard was magical and totally made my days better after a stressful day from class. What makes it even better is that the customer service at Confetti is amaaaaaazing! The workers are always very friendly and welcoming which creates a bright and happy atmosphere (and their decor is so bright and cute too!). I personally cannot decide on my order because they have soooooo many flavors. They currently now have a new flavor: Pineapple Dole Whip custard! Whoo! I sampled it last week and it's pretty legit so y'all need to go get ittttt! **Because their custards always rotate, it is best to check their instagram @confettiice or call them to make sure they have the Pineapple Dole Whip custard available. This freshly made to order ice cream spot now makes soft serve Pineapple Dole Whip with liquid nitrogen. How cool is that? I haven't tried it yet but according to some Yelp reviews it may be a bit icier than the Disneyland version. That's probably because of the liquid nitrogen. Anyways, this is pretty new and I hope they will keep it on their menu for a long time or even better, forever! This place is the ish. I recommend y'all going here for their $2 TUESDAY specials which happens every single Tuesday. You can't beat that price! And they aren't skimpy with their portions either! It's $2 for a small size but you can get multiple flavors and you'll definitely be satisfied. What's better? They have the famous Dole Whip! The Dole Whip here is often enjoyed with Chamoy sauce which is a great combination. It's Tangy and Sweet and Sour and OMG JUST SO GOOD!